The orbiting Expedition 43 trio worked ongoing life science Wednesday to improve life on Earth and in space. 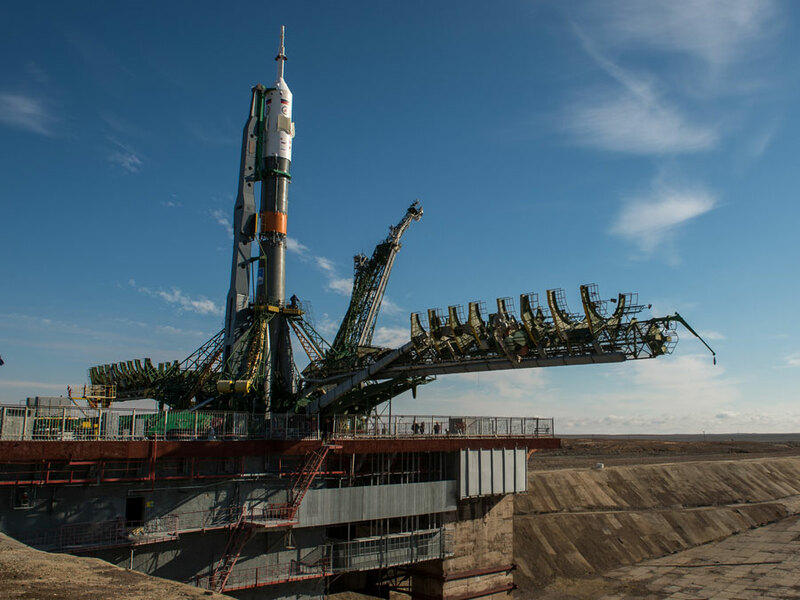 On the ground at the Baikonur Cosmodrome in Kazakhstan, the Soyuz TMA-16M spacecraft rolled out to its launch pad counting down to a Friday launch to the International Space Station. In space, Commander Terry Virts scanned his eyes using an Ultrasound as part of the Ocular Health vision checkouts this week. Italian astronaut Samantha Cristoforetti continued working with the TripleLux-B cellular mechanisms experiment. Flight Engineer Anton Shkaplerov wrapped up the Cosmocard investigation that observes the vegetative regulation of cardiac rhythm on long-term spaceflight. Back on Earth, Soyuz Commander Gennady Padalka and One Year Crew members Scott Kelly and Mikhail Kornienko are getting ready for their mission to join Expedition 43. They will launch Friday at 3:42 p.m. EDT for a six-hour, four orbit flight to the station. Padalka will end his stay in space in September. Kelly and Kornienko will return home March 2016. SpaceX is targeting April 10 for the launch of its Dragon private space freighter. Virts and Cristoforetti are packing NanoRacks Cubesat deployers, which were used in Japan’s Kibo lab module, for return to Earth on Dragon when it completes its sixth Commercial Resupply Services mission a month later.